← Connecting With Handgun Shooters – Where Do You Find the Best Gun Blogs and Information? Winchester introduced a ballistics calculator app about two years ago at Winchester.com. Carducci Tactical downloaded the application to our iPhones. Recently the company updated the app to make the calculations more comprehensive. In addition to comparing centerfire rifle ammunition, the updated version has rimfire, shotgun, slug and handgun ammunition. Compare different cartridges with charts and graphs. Discover aiming points, impact points and trajectories. Check it out today at the Winchester website or down the app to your smart phone. While you’re surfing the internet head over to Gearhog.com and sign up for their daily deals. This website offers deals on hunting, shooting and other outdoor related products. Savings seem to be averaging 50% off the products. Today’s deal is a ARM-R Carbine Length Rail Kit. Recent deals include PRO-Ears hearing protection, various knifes and other tactical gear. Even ammunition discount deals have been featured. One final destination while you are surfing the internet this week – The Sniper’s Hide Facebook page. 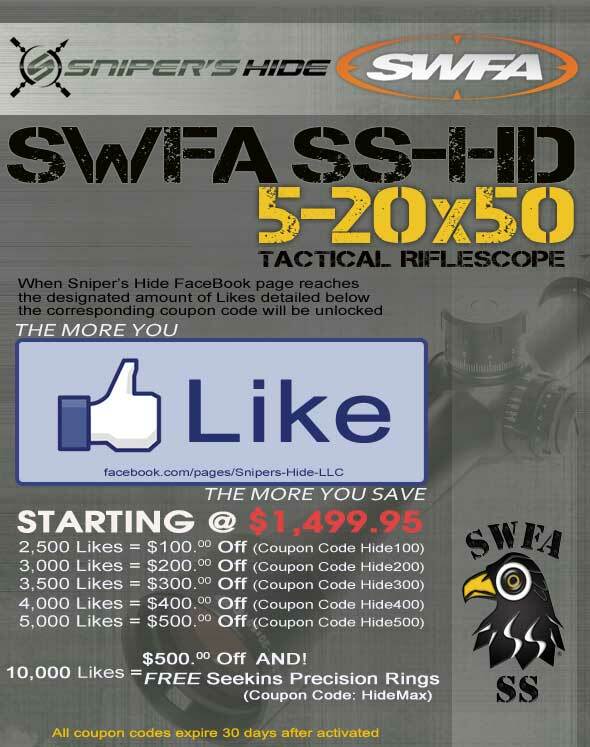 Sniper’s Hide is offering to unlock discount a discount off the SWFA SS 5 20X50 Tactical 30mm Rifle scope. 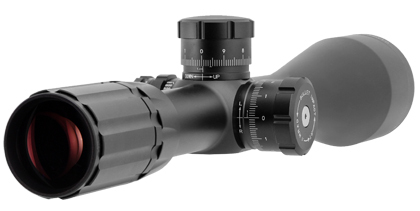 The coupon code HideMax will activate automatically at 10,000 likes and get you $500 off the price of the scope plus a set of Seekins Precision rings. Like their page and look for it to hit 10,000 really soon. While you are hanging out on Facebook, don’t forget to check out the Carducci Tactical page. Carducci Tactical hopes with Gearhog and the other discount code that you can score a great deals on shooting accessories and hunting gear. With hunting season approaching don’t forget the ballistics calculator to help in selecting the best cartridge. This entry was posted in Discounts & Promo Codes, Product Reviews and tagged ammunition discounts, ballistics calculator, Carducci Tactical, gearhog, hunting discounts, hunting iphone apps, iphone aps for hunting, rifle scope discounts, shooting iphone apps, snipers hide discount code, swfa discount code, tactical gear discounts, winchester ballistics calculator. Bookmark the permalink.